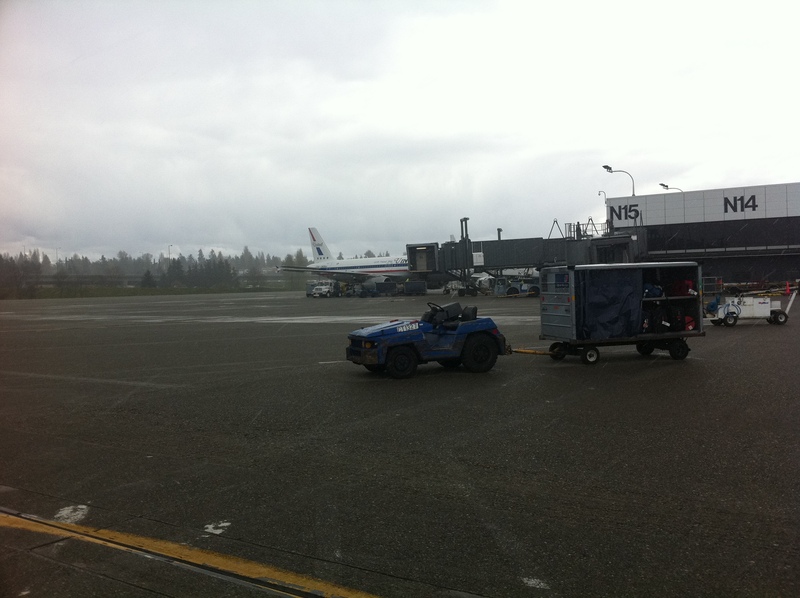 As I was disembarking on a business trip to Seattle from an Air Canada Dash-8 on the tarmac – I did a double take. No, time hadn’t shifted back a few decades. But there was United’s old Friendship livery – on an Airbus A320 at gate N16 just getting in from San Francisco. It’s great to see the old UA livery outside of an air museum. Now, if only they’d repaint something in the Saul Bass Tulip scheme.